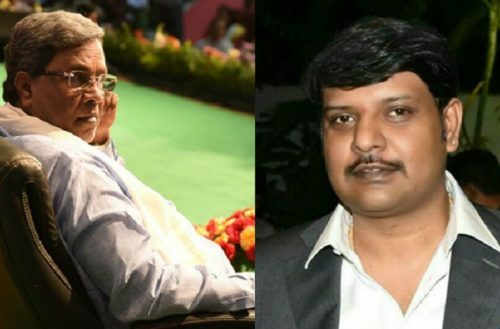 Karnataka CM Siddaramaiah’s son Rakesh passes away in Belgium : Karnataka Chief Minister Siddaramaiah’s son Rakesh, who was undergoing treatment in the Belgian capital, passed away on Saturday due to multiple-organ failure. Rakesh (39) had been suffering from a pancreatic ailment and reportedly died of multiple organ failure. He had been admitted to the Antwerp University Hospital in Brussels on Tuesday and was in a critical condition. CM Siddaramaiah's son Rakesh had fell ill while touring in Belgium. Hospitalized& getting better. CM's family is in touch with the doctors. Siddaramaiah and his family are likely to bring Rakesh’ body back to India on Sunday evening. Prime Minister Narendra Modi has reportedly requested the Indian Ambassador to Belgium to assist Siddaramaiah’s family in carrying out the legal formalities in bringing the body back to India.